Type 2 diabetes is a major global health threat ─ 1 in 10 people either has type 2 diabetes, or is likely to develop it during their life. But we are yet to fully understand what causes the disease and what puts people at risk – limiting the effectiveness of prevention and treatment strategies. We know that lifestyle has a large impact, but our genes also play their part. 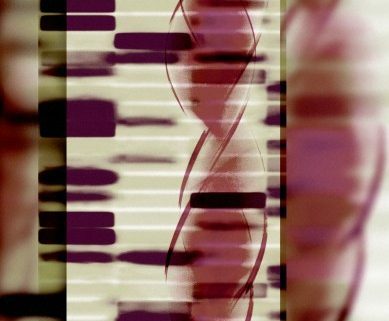 In a massive genetics study involving 120,000 DNA samples and 300 scientists in 22 countries, we’ve found that in the majority of cases, type 2 diabetes isn’t caused by a single faulty gene unique to an individual and their family. Instead, there are common changes in several genes throughout the population, which combine to lead to disease development. Human genetics is one of the most powerful ways of understanding the mechanisms that underpin diabetes. By comparing DNA from people with type 2 diabetes and those without, we can highlight fundamental biological differences that have relevance for disease risk. As we currently lack effective preventative strategies and the available treatment options cannot tackle the root cause of disease, these genetic discoveries can point the way towards the development of new approaches. Importantly, such discoveries can help to target those approaches more effectively to the individuals in whom they are most likely to provide benefit, and least likely to cause harm. Any pair of individuals will share 99.9% of their DNA. Those 0.1% of differences are what makes each of us different. Some of the differences in the code have no obvious impact on how our body works or what we look like. But other changes alter the way proteins work. 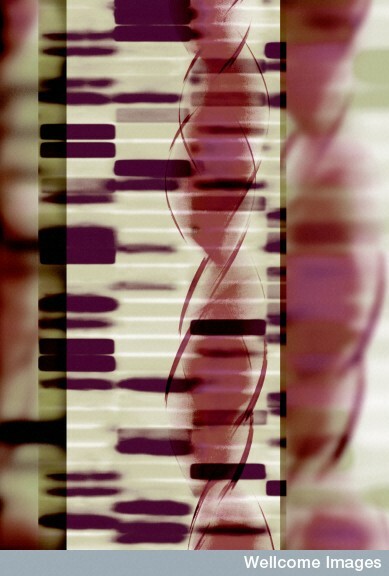 We’ve found variations in over a dozen genes that cause changes in proteins that are associated with diabetes. Several of these provide new and important clues about the mechanisms underlying type 2 diabetes. Our results also highlight that diabetes risk is not the same in all countries. PAX4 is a gene involved in the development of the insulin-producing cells in the human pancreas. There’s a really powerful association between a variation in this gene and risk of diabetes, but only in individuals from East Asia (including Korea, China, Singapore). These findings matter because they provide many important new insights into the biology of diabetes: some of the genes and pathways implicated may represent novel avenues for drug development. “Every unhappy family is unhappy in its own way” or have we all got the same problems to deal with? The symptoms and consequences of diabetes are complex and the genetics underpinning the disease are no less so. It’s not as simple as ‘THE gene for diabetes found’. There’s a lot of debate about whether most of the genetic differences that influence individual’s predisposition to diabetes are ones that are widely shared within populations, or whether they are more often rare events, specific to an individual and their family. In this study we analysed both rare and common variations in DNA code and we showed that the genetic contribution to diabetes risk lies predominantly at shared sites. This matters because it has implications for the ways in which we will be able to use genetic data to support personalised medicine. Although common variations seem to be the major contributor to diabetes, rare genetic changes still reveal huge clues to the processes that lead to diabetes. Here, we show that there is a strong link between rare variations in about 30 genes and type 2 diabetes. Interestingly, these genes are already known to be involved in some rare familial forms of diabetes that mostly start in early life. This matters because it shows that the same genes can harbour DNA sequence differences that result in very different types of diabetes. It also highlights the need for careful interpretation when DNA sequence changes are detected in genes of medical significance, since it will not always be obvious what the impact of the variation is likely to be. Because we believe it is important that all researchers can benefit from the data we have generated in this project, data and discoveries are available to researchers and to the wider world through a variety of means. For example, much of the data from this and other studies is available on the freely-accessible T2D genetics portal developed as part of the Accelerating Medicines Partnership (www.type2diabetesgenetics.org). This study highlights the complexities of diabetes, but also the opportunities. We’ve shown that a genetic predisposition to diabetes is controlled by an unfavourable combination of genetic changes that are common in the general population, rather than each person with diabetes having their own faulty gene. By getting a better handle on these genetic variations and their biological impact, we’ll be able to create a range of treatments that target the causes of diabetes – not just the symptoms – and prescribe them based on genetic profile of disease.